Washington, D.C. Antifa leader Joseph “Jose” Alcoff, also known as “Chepe,” was arrested and charged with multiple felonies in Philadelphia on Jan. 10 in connection to the Antifa mob attack against two Marines in November. Alcoff faces 17 charges, including multiple counts of aggravated assault, ethnic intimidation, conspiracy and terroristic threats, and one count of robbery while inflicting serious bodily injury. Joseph “Jose” Alcoff, also known as “Chepe,” was the Antifa leader who organized the near-raid on Tucker Carlson's home in November. Chepe is entrenched in Communist organizations, and Antifa networks. During the tax cut debate in 2017, Republicans argued that the cuts would at least partially pay for themselves by spurring economic growth. Democrats said they were nothing more than a giveaway to the rich. The latest data from the Congressional Budget Office makes it clear that the GOP had it right. But entirely overlooked is what the CBO report shows about the tax cuts. That they succeeded in boosting economic growth. And that extra growth is, in turn, partially paying for the cuts. Despite what Schumer says, this is precisely what Republicans claimed would happen. A 19-year-old Salvadoran man suspected of being in the country illegally was charged on Jan. 28 with killing four people in Nevada, including a couple who employed him as a landscaper at their Reno home where he fatally shot them with a gun he stole from them earlier, authorities said. Wilber Ernesto Martinez-Guzman told investigators he used a .22-caliber revolver stolen from the property of 81-year-old Gerald David and 80-year-old Sharon David less than two weeks before he killed them on Jan. 16. U.S. Customs and Border Protection (CBP) Border Patrol and Puerto Rico Police Department (PRPD) Joint Forces for Rapid Action (FURA) agents seized Monday 884 pounds (401 Kilos) of cocaine found inside an abandoned vessel on the coast of the town of Loiza. The estimated value of the seized narcotics is $10 million. 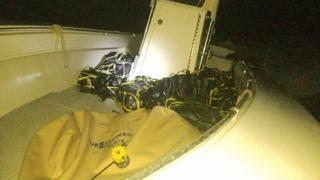 U.S. Coast Guard and CBP Air and Marine assets located a suspected smuggling vessel traveling south towards the northern coast of Puerto Rico. A state senator wants to mandate that parents be told exactly which ingredients and chemicals are in vaccines before their children are inoculated. The bill introduced by Sen. Paul Boyer, R-Phoenix, would require that any health professional provide not just the positive effects of vaccinations but also the full list of ingredients and side effects before a vaccine could be administered. Documents disclosing the research came out this month. A document released this month revealed a secretive multimillion-dollar Department of Defense program from the late 2000s compiled research into invisibility cloaks, warp drive, and many other areas of fringe space science as part of a now-defunct program aimed at detecting and potentially explaining strange sightings in the Earth’s atmosphere. Between 2007 and 2012, the Defense Intelligence Agency (DIA) spent $22 million on this UFO program, which was formally known as the Advanced Aerospace Threat Identification Program (AATIP). In 2017, The New York Times first reported the existence of the long-hidden AATIP and that officials had been investigating reports of UFOs for years. The 65-year-old billionaire has said that he may run as an independent - a move which could peel votes away from whoever wins the Democratic nomination to face President Trump. This has hoax written all over it, but we shall see what real evidence comes from this. Aren't the Emmy's coming up? Watch for the spike in ratings. 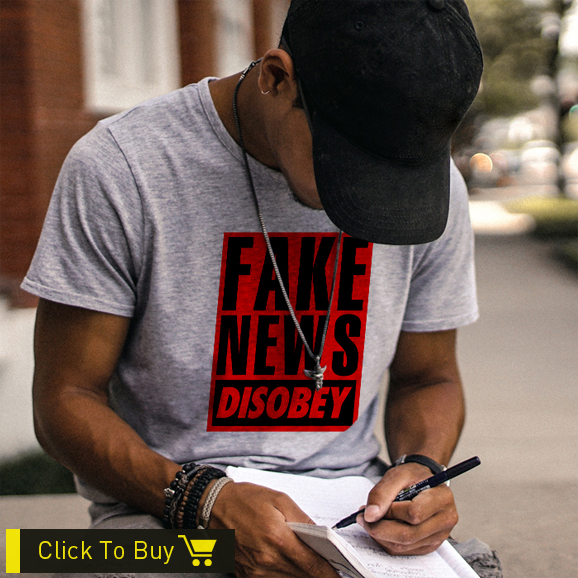 ...Forecasters are predicting that air temperatures in parts of the continental United States will drop to their lowest levels since at least 1994, with the potential to break all-time record lows for January 30 and 31. With clear skies, steady winds, and snow cover on the ground, at least 90 million Americans could experience temperatures at or below zero degrees Fahrenheit (-18° Celsius), according to the U.S. National Weather Service (NWS). On January, 18, four citizens of Georgia were found guilty of the charge Conspiracy to Commit Alien Smuggling in the United States District Court for the Northern District of New York. Olegi Charkoshvili, Zurab Gvarliani, Davit Shatirishvili and Daviti Sulakauri were found guilty of the charge Conspiracy to Commit Alien Smuggling, stemming from the failed attempt on August 21, 2016. On that date, Border Patrol agents from the Champlain Station responded to the border area near the Perry Mills Road in Champlain, NY to investigate suspicious activity. Agents encountered and stopped a tan Volkswagen Passat that was occupied by the defendants. Also in the vehicle was a woman who is a citizen of Georgia who does not have documents that would allow her to enter or remain in the United States. The four men were apprehended for suspicion of alien smuggling and the woman was apprehended for illegally entering the United States. PG&E Corp., which owns California’s largest electric utility, filed for bankruptcy protection Tuesday in anticipation of huge legal claims, starting an unpredictable process that could take years to resolve and is likely to result in higher energy bills for the millions of Californians who depend on Pacific Gas & Electric for their power. The Trump administration Tuesday forged ahead in what one analyst called “a complicated chess game” of handing more of Venezuela’s assets in the United States over to its interim president, seeking to tighten the economic stranglehold on the embattled government of Nicolás Maduro. The State Department certified that Guaidó has authority to control all Venezuelan government bank accounts in the U.S. financial system, giving him access to any cash or gold Venezuela may be holding in U.S. banks. Last week, the Bank of England denied Maduro permission to withdraw more than $1 billion in gold Venezuela holds there, noting that the U.K. no longer recognizes him as the country’s head of state. The funeral of an unaccompanied veteran in Killeen, Texas, was attended by more than 1,000 people -- including hundreds of bikers -- after a cemetery put out a call on social media asking strangers to come pay their respects. Joseph Walker served in the Air Force during the Vietnam War according to his obituary, and died on Nov. 19, 2018, at the age of 72. Stacey Abrams, the former Georgia gubernatorial candidate and a rising star among Democrats, will deliver her party’s response to President Trump’s State of the Union address next week, Senate Minority Leader Chuck Schumer, D-N.Y., confirmed Tuesday. Abrams, who hoped to make history as the first black governor of Georgia and first female black governor of any state, lost November’s gubernatorial election to Georgia’s Republican Secretary of State Brian Kemp, but her stock within the Democratic Party has remained high. At Nucor Corp., the nation’s largest steel manufacturer, 2018 profits were a record $2.3 billion, or $7.42 per share, a 24 percent increase over the prior record reached in 2008. Sales at the Charlotte, N.C.-based company grew 23 percent last year to $25 billion, it said on Tuesday. Steel Dynamics, the second-largest producer by volume, also recently reported a record 60 percent rise in profits in 2018 to $1.3 billion, or $5.35 per share. And at AK Steel, net income grew 79 percent to $186 million for the year. Trump attacked Harley last year after it announced plans to shift some U.S. production overseas to sidestep levies imposed by the European Union... Chief Executive Officer Matt Levatich is having trouble attracting younger riders and plans to offer cheaper bikes and sell more clothing and gear -- including on Amazon -- to reach new customers. Harley has been investing to expand a new plant in Thailand to boost exports and produce the majority of motorcycles sold in the EU and China by the end of this year... Trump said in August that he’d back a boycott of the company’s bikes for moving production out of America. Tariff costs of $100 million to $120 million this year will be eliminated in 2020, once the Thailand plant expansion is completed, executives said on an earnings call.